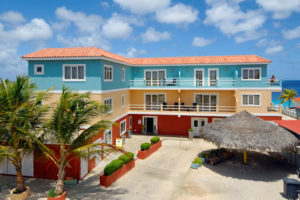 Den Laman is one of the few apartment complexes on Bonaire that has on-site reception staff. Our reception is open daily from 8:30 am – 5:00 pm (Sundays 9:00 am – 1.00 pm). When arriving outside of office hours we are there to personally meet and greet you. Our staff is happy to provide tips on where to go and what to do, and treat you with their own special personal touch. 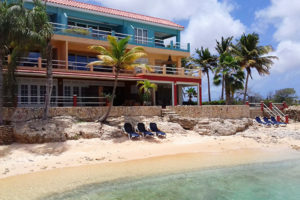 Are you interested in an Island activity or tour? We would be happy to assist you with inquiry and reservations. During all times guests have 24/7 cell phone access to the manager on duty. Free Wi-Fi internet access is available throughout the resort. Every apartment is fitted with its own password-protected modem connection for high speed internet for US$2.50 per day or US$15.00 per week (7 days) and longer. Starting December 23, 2017 the secured & fast Wi-Fi internet is free of charge. Housekeeping service is every other day which includes make up the beds, change towels, sweep the floor and clean the bathroom. Bed linnen will be changed every fourth day. If you require an extra full service the cost is US$ 25.00 per service. We offer beach towels free of charge. 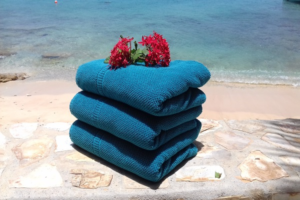 Used beach towels can be changed at the reception when needed. Beach chairs are available on the beach of Den Laman (only available for guests of Den Laman). Guests of Den Laman also have free use of beach chairs at the Coco Beach Bar situated next to Den Laman (upon presentation of a voucher). A washer and dryer is available on property. A wash & dry service is US$ 10.00 per load (including detergent). Our staff is happy to arrange grocery stocking for your arrival day. Den Laman offers a grocery stocking service for orders placed at least 48 hours in advance. Please view https://www.denlaman.com/grocerylist.xls for more information on how to pre-order. You can send the form to info@denlaman.com. A US$15.00 service charge will be added to all orders plus an additional surcharge of 15% of the total purchase amount. 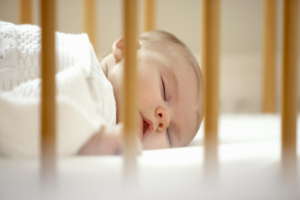 Please notify us if you will be traveling with an infant (up to two years old) needing a crib for a one-time US$20.00 fee. Extra beds are limited in number and can be reserved in advance for an additional $25.00 per night. This is an extra BED charge, not an extra PERSON charge. Total occupancy must remain within the maximum allowable per unit. 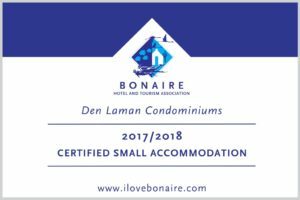 Although we consider Den Laman to be a safe and secure place, we advise our guests to always lock the door when leaving the condo and store any valuables securely in the room safe. There are two gates within the property which should be closed at all times. A security guard is on duty from 11.00 pm to 07.00 am.